Now before I start my Life Lately post, did you all notice the whole blog redesign, hello? I am in love with the new-clean look and feel!! I’ve been working behind the scene to get all my recipes organized and make them easy to find in the menu bar up top. Bare with me as I’m getting things organized and also getting familiar with this new blogging platform. I’ve blogged for years over on Blogger and now being on WordPress it’s a whole new ballgame, but a good ballgame, lol! It has taken me a moment to figure everything out, but I’m getting the hang of it and loving all the features that WordPress has to offer. With sports being in full swing, a good portion of our Saturdays are spent at either the soccer field or the football field. Which I love, I love having the kids involved in sports, I think it is so beneficial to them, even if they aren’t a star athlete. And by the way, Maddie can not wait till she is able to go back to her horse back riding lessons, we have a few more weeks, a little at home physical therapy and then she will be cleared to ride! With both Naomi and Bryce’s games being on Saturday, I usually take Naomi to her game and Jarret takes Bryce to his football game because so far Bryce has had to report to the field when Naomi’s game is still going on and Maddie usually goes with Jarret since she hasn’t seen him all week. Then once Naomi’s game is over, we head over to where ever Bryce is playing to watch his game. It’s a lot of shuffling around! Naomi had pictures this weekend and all morning long it had been raining, even when we got to the field it was still raining, but there weren’t going to cancel. So while we waited for our pictures to be taken we were all standing under our umbrellas keeping dry. Thankfully by the time she started playing, the rain had stopped! Now we’re at Bryce’s game and thankfully the sun was trying to come out. Jarret bought the girls ring-pops so that is why it looks like Maddie has a pacifier haha, which she thought was hilarious when she looked at the picture! Jarret and I were so glad that Bryce’s games fell on Saturdays because when he was in the younger league, they played during the week and at night. This is why he didn’t play football last year because Jarret was going to school at night and it would of meant me and the girls taking him to his games, which didn’t start til 8 p.m.!! I made him take a picture with his Mom after the game, which he wasn’t too excited about and Naomi tried to jump in, that is why there is only half a face, ha! My favorite thing to do is to take the kids on nature walks either in the morning or in the evening. I’ve been doing this with them since back on the farm. As much as they belly ache and cry about not wanting to go or they just want to keep playing, we make them go anyway and as soon as we get going, they are all about it. I can honestly say, each one of my kids enjoys it and it is so good for them! We love going to this trail not too far from the house, it so pretty and very well maintained. I can’t wait to keep going as the leaves continue to fall and change colors and the air grows crisp. Being in Nature is my church. Nature gets me centered and makes me feel happy. This part of our walk reminds us of the farm because of the creek. The kids love to stop and play by it, just like they use to when they were younger. They could play here for hours just with sticks, rocks and leaves! We were having leaf races down the creek and Bryce was on the other end trying to sink them by a “missile attack”, aka him throwing rocks. I just love how this picture turned out! Here’s a little clip from our leaf races! This photo was taken Saturday evening, I just wanted to throw it in here too because I thought it looked so pretty with the reflection off the pond. Hallmark movies and new couch. 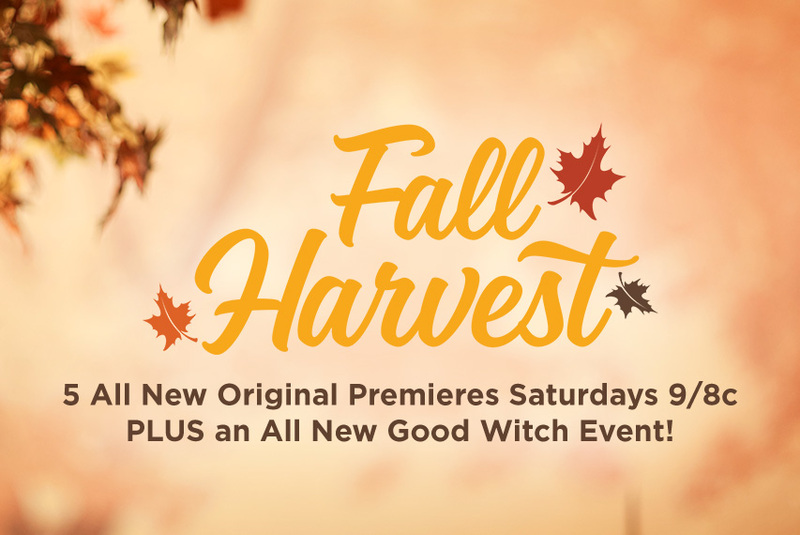 Did you all catch the first Fall Harvest movie of the season on Hallmark Channel? I am so excited for all the new Hallmark movies, from now until the end of the year and our couch gets delivered this weekend, just in time for cozy movies and my Mom flying in next week! The kids are so excited to see her and I am looking forward to it too, and later in October my Tia Rocky comes to visit, yay! If you did not catch Naomi’s Birthday post, you can check it out (here)! So all-in-all we are welcoming the change of seasons, enjoying watching the kids play sports, rehabbing Maddie’s arm and anticipating the arrival of our new couch this weekend. Love this new style blog-and the pictures are amazing. I’m watching those Hallmark movies too – so good!